We are the Cash Clan: Keith and Lisa, Claire, Adam, Benjamin, and Samuel. We came from the United States to Japan in August of 2003 with 10 month-old Claire in tow and little Adam in utero, not sure exactly what was going on, but following His mysterious lead. We’ve been on a wild ride, getting married young (20 & 21! ), Lisa working towards her Bachelors in English and then her Masters in TESL, and Keith getting his Bachelors in Special Education and then graduating with a Masters from Fuller Theological Seminary in May of 2009. Our golden ticket to the nations arrived when Keith quite unexpectedly got a job with the U.S. Department of Defense teaching Special Education to American military children in Japan. For nine years, we sought to purposely “live out loud” our lives, our faith, and our love among the Japanese people. Then in 2012, Keith received a transfer to Kaiserslautern, Germany, where we are now following His lead to find our place in “this” world. 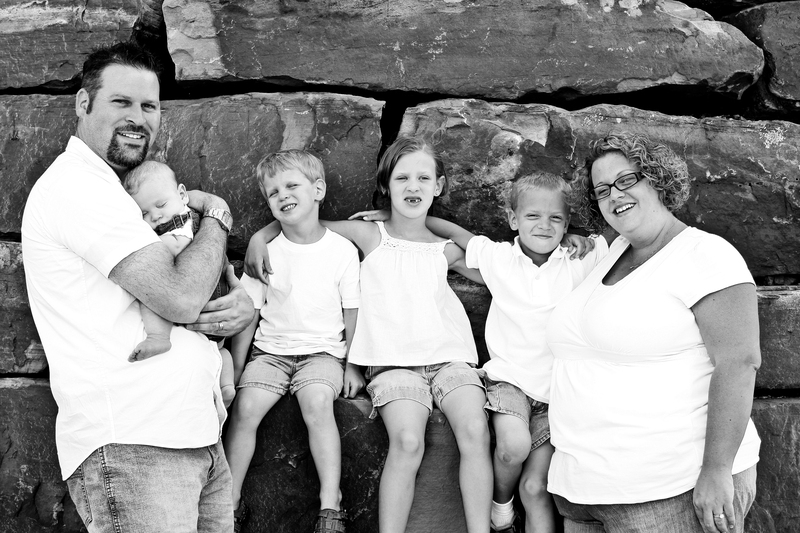 Keith is a teacher by day, a heroically kind husband and father, and a spiritual warrior. Lisa was a high school English teacher B.C. (before children), but now she spends her days cuddling among piles of great books with her four precious children and, loving the ministry of motherhood, and always singing His praises. We are crazy, crazy blessed and honored to spend the days of our lives on the Gospel of Christ among the nations. I work at Awana headquarters and am so happy to hear about your Awana year! It sounds like God really blessed your efforts and answered your prayers. I’d love to hear more about your story and experience with Awana. I write stories for the Awana Web site about how God uses the ministry of Awana in people’s lives and would love to talk with you. Feel free to email me at kima@awana.org and perhaps I can send you some questions. I know you are in Japan so it might be tricky to talk by phone. Hi Keith I think its so awesome that you and your family are missionaries. I am happy to see that you and your family is doing well. I would really like to catch up with you sometime, please friend me on face book I’d love to chat with you and tell you all about my family and life and learn about yours although I see you are pretty much an open book wich is great. You and your family will always be in my prayers and I pray God will reunite us soon old friend. Hope you are doing well there. I am home and rested from all the travel. I was very blessed to be there with you all. Lisa, it was wonderful to meet you at the retreat! Blessings! I know it’s been so long since our story. I hope things have been better for your beautiful family. I have a favor to ask… Can you please DELETE my post from before. It has my personal cell in there and I really need to keep that number protected for my safety. Thank you so much! Make sure you keep that number though to yourself and feel free to call me anytime! It would be wonderful to catch up! Of course, I’ve deleted the post!! I was actually just in Tulsa last week because my grandmother is on her deathbed. I was able to say my goodbyes and relieve her caregivers for a few days at least, but I wish I could have stayed longer…Anyway, I hope you are doing well and loving your job and your life! Things have been more than a little rocky over here trying to kind of refind our place. It’s not been an easy transition, and we’re very much still in transition…But that’s okay. Thank you so much for responding to my request! I have been thinking about your family so much lately. I can’t believe it’s been a year since the earthquake. How are you all doing? I am so sorry to hear about your mother. My thoughts and prayers are with all of you. Would you be interested in doing another story with me about the earthquake? It would be like an “anniversary” angle. I think it would be really special. Let me know what you think? I will talk to my producer in an hour or so and see if he has any thoughts about that story idea. It would be really wonderful to see you today!